Maasai Mara University portrays itself as a reservoir of the country’s culture and intellectual elite with the obligation to champion social, political and economic change in society through professional extension services and influencing policy. In the heart of South Rift Region of Kenya Republic, at the forefront of innovation, Maasai Mara University is home to the seventh wonder of the world- The Maasai Mara National Game Reserve. We focus on research and inspired teaching. Basic Salary: Kshs.30,449 x 917- 32,358 x 991 – 34,415 x 915 – 36,670 x 1526 – 45,455 x 1523 – 48,500 x 2008 – 50,508 p.a. -221,700 x 9,059 – 239,826 x 9,072 – 248,898 p.a. House Allowance: Kshs. 73,715 p.m. Basic Salary: Kshs.135,859 x 4,121 – 144,960 x 4,980 – 154,921 x 4,982 – 164,885 x 4,983 – 174,853 x 4,985 x 4,985 – 184,825 x 4,988 – 189,813 p.a. 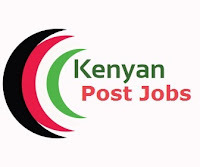 Basic Salary: Kshs.106,327 x 2,992 – 112,312 x 3,728 – 119,767 x 3,725 – 127,614 x 4,122 – 135,859 x 4,121 – 144,960 x 4,960 – 149,940 p.a. Applicants are required to give names, addresses and contacts of three (3) referees and should indicate on the envelope the Reference number and the position applied for so as to reach the undersigned on the address indicated below on or before 5.00 pm, Friday 21st September 2018.